Gillo Pontecorvo was an Italian film director, best known for the film 'La battaglia di Algeri'. Check out this biography to know about his childhood, life, achievements, works & timeline. Gillo Pontecorvo was an Italian film director, best known for the film 'La battaglia di Algeri'. Born at the end of First World War into an affluent well-educated family, he became indoctrinated into communist ideology while studying in the University of Pisa. Soon he left his studies and while working as journalist in France he became a member of the Communist party. 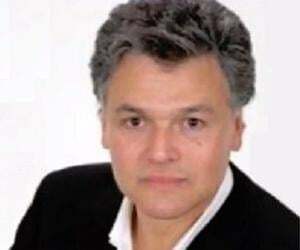 Subsequently, he returned to Italy and began working for the party’s underground newspaper. After the Second World War, he left journalism and took up film making to give voice to his ideology. Starting as a self-funded documentary film maker, he received Italian Government fund in early 1950s to make a film on Soviet assistance to the flood victims in Po Valley. Towards the end of the decade he made his first full-length feature film, ‘La grande strada azzurra’. 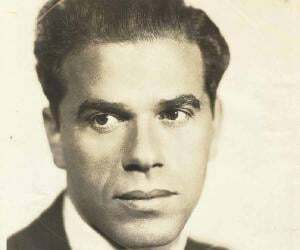 However, he is best known for his work, ‘La Battaglia di Algeri’, a film that portrays Algeria’s struggle for liberation from the French. ‘Kapò’ is another of his celebrated work. In comparison to his contemporaries, he had made very few films; mainly because he could not make a movie unless he got emotionally involved with the subject. Gillo Pontecorvo was born on 19 November 1919, in Pisa, Italy, into a distinguished family. His father, Massimo Pontecorvo, was a Jewish industrialist and owned three textile factories employing over 1,000 people. His mother, Maria née Maroni, was a Protestant and a member of the Chiesa Evangelica Valdese. Gillo was the fifth of his parents’ eight children. His eldest brother, Guido, later became an eminent geneticist, second brother, Paolo, an engineer who worked on radar during World War II and his third brother, Bruno, was a renowned nuclear physicist. He also had an elder sister named Guiliana, one younger brother, Giovanni, and two younger sisters, Laura and Anna. After graduating from school, Gillo too entered University of Pisa with chemistry; but gave up his studies after two examinations. It was during this period that he first became aware of the conflict between political forces and came under the influence of communist ideology. When Paris came under German rule, he and his future wife Henrietta escaped to St Tropez. Here he began to provide tennis lessons to its rich residents. Here he met musician René Leibowitz, also living in exile and started learning piano from him. By 1941, Gillo Pontecorvo became a clandestine member of the Italian Communist Party. In 1942, he visited Italy on a news gathering mission and spent the summer of 1943 working for his party’s underground newspaper, L'Unita, in Milan. He also worked to organize a youth front for the party. In 1944, he was forced to go into hiding and so moved to Turin, where he began to organize factory workers under the pseudonym of Barnaba. After the war, he became the director of Pattuglia, a journal of combined Communist and Socialist youth. Subsequently, Pontecorvo returned to Paris as the representative of Italy in the Youth World Federation. Here he became friendly with Jean-Paul Sartre and Picasso. Later, he also represented Italy in the Communist-backed World Federation of Democratic Youth. In 1946, Pontecorvo found a new direction. That was the year, he saw ‘Paisà’ by Roberto Rossellini and began to consider film making as part of his political activities. Subsequently, he gave up journalism and started shooting anything that interested him with a 16mm camera, using his own money. In 1947, he became the third assistant director of Aldo Vergano in ‘Il Sole Sorge Ancora’, doubling up as an actor portraying a small part of a peasant. Other assistantships followed and in 1950, he became an assistant director to Yves Allegret on ‘I Miracoli Non Si Ripetono’ (Miracles Only Happen Once). 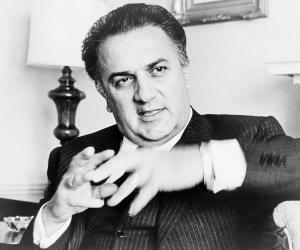 Slowly, he began making socially relevant short documentaries, for which he received funds from the Government of Italy. His first major documentary was made in 1953. Titled ‘Missione Timiriazev’, it recorded Soviet assistance to the flood victims in Po Valley in Northern Italy. The shooting was done with a 35mm camera. Next in 1954, he made two documentaries. Among them, ‘Porta Portese’ was on the famous flea market at the ancient city gate of Porta Portese at the southern edge of Rome and ‘Festa a Castelluccio’ (Dogs behind the Bar) was on municipal dog pound. Pontecorvo spent the 1955 making number of documentaries. Among them, ‘Uomini del marmo’‘Cani dietro le sbarre’ and ‘Festa a Castellucio’ are most significant. So was his 1956 documentary ‘Pane e Zolfo’, which was about the decline of community feeling in the closed sulfur mine in Marche region. Also in 1956, he was invited by Joris Iven to participate in his episodic film, ‘Die Windrose‘. He put in ‘Giovanna’, a short feature film. Centered on a woman worker in a textile mill, it tells the story about her conflict between her loyalty to her husband and her commitment to her striking co-workers. In 1957, he made his first full-length feature film titled, ‘La grande strada azzurra’ (The Wide Blue Road) with Maleno Malenotti. It tells the story of the harsh life of a poor fisherman, living on a small island off the Dalmatian coast of Italy. His next feature film ‘Kapò’ was released on 29 September. 1960. The film, based on Holocaust, was not only directed by him, but he also co-wrote the screenplay with Franco Solinas. It was nominated for the Academy Award as Best Foreign Language Film. In the same year, he also produced a documentary titled ‘Gli uomini del lago’. After this, he took a break and produced ‘Paras’, another documentary, in 1963. Meanwhile he began searching for the right subject for his next film; going through at least thirty-three projects before he could make up his mind. Finally he decided to make a film on Italian-Algerian war (1954 – 1962). ‘La Battaglia di Algeri’ (The Battle of Algiers) was released in September, 1966. The film created great political controversy in France and was banned in that country for five years. However, it was highly appreciated in other countries and won many awards. It also received three Academy nominations, (Best Screenplay, Best Direction, Best Foreign Language Film), but failed to win them. His next film ‘Queimada’ (Burn!) was made in 1969. Starring Marlon Brando, the film was based on the character of adventurer William Walker, who supports a slave rebellion in the Spanish Caribbean to augment British interests. In 1979, he made ‘Operación Ogro’. The film was based on Spanish Prime Minister Carrero Blano's 1973 assassination by the ETA Basque separatists. This was his last feature film. Afterwards he made limited number of documentaries; ‘Ritorno ad Algeri’ (Return to Algiers, 1992), his follow-up documentary to The Battle of Algiers, is one such project. 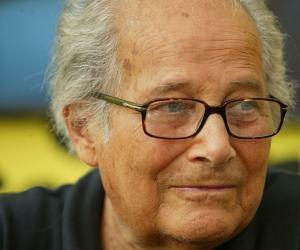 During this period, he also made two short feature films; ‘Danza della fata Confetto’ and ‘Nostalgia di protezione’. Pontecorvo also tried to do a few more full-length feature films; but they never materialized. One such project was ‘I Tempi Della Fine’ (Time of the World's End), in which Jesus Christ was to be portrayed as a Marxist revolutionary. He also wanted to make a film on the Nicaraguan sociopolitical conflicts; but it too failed to materialize. Pontecorvo is best remembered for his 1966 movie ‘La Battaglia di Algeri’. The film tries to reconstruct what happened between November 1954 and December 1957 in the capital city of French Algeria during the county’s War of Independence. 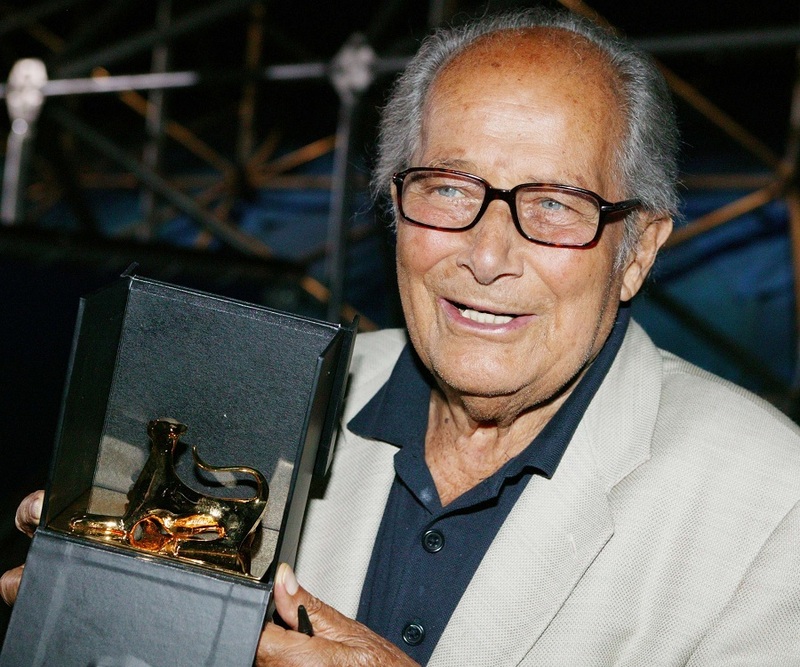 In 1966, Pontecorvo won Golden Lion Award at the Venice Film Festival for his work in ‘La Battaglia di Algeri’. In 1972, he received the BAFTA Award for the same work. 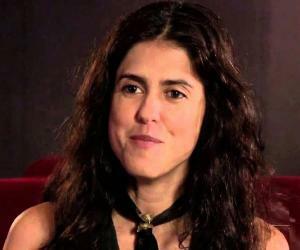 In 1970, he received David di Donatello for Best Director for his work in ‘Queimada’ (Burn!). In 1980, he received the same award for ‘Operación Ogro’. In 1991, Pontecorvo was selected as a member of the jury at the 41st Berlin International Film Festival. In 1992, he became the Director of the Venice Film Festival and was responsible for organizing the show in 1992, 1993 and 1994. During the WWII, while living in Paris, Pontecorvo met his future wife Henrietta. Once the Germans captured Paris, Pontecorvo and Henrietta escaped to St Tropez, where they got married. Later they parted their ways. Thereafter, Pontecorvo married Teresa Ricci, with whom he had three sons; Ludovico, Marco and Simone. Among them, Marco Pontecorvo followed his father’s footstep and became a film-maker. In later years, Pontecorvo spent most of his spare hours making commercials, tending his plants, composing music and playing tennis. He also took to scuba diving and began collecting glass paintings. Pontecorvo died on 12 October 2006, in Rome from congestive heart failure. He was then 86 years old and was survived by his wife and three sons.